1997 was the 50th anniversary of the discovery of the Dead Sea Scrolls. 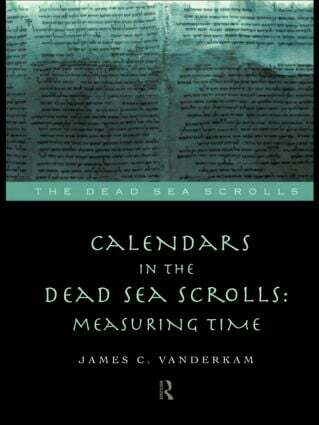 Calendars in the Dead Sea Scrolls explores the evidence about calendars in the Dead Sea Scrolls, the Hebrew Bible and other ancient Jewish texts. James C. VanderKam examines the pertinent texts, their sources and the different uses to which people put calendrical information in the Christian world. Calendars in the Dead Sea Scrolls provides a valuable addition to the Dead Sea Scrolls Series and contributes to the elucidation of the scroll texts themselves and their relation to other Biblical texts.